House Clearance Service In All Areas Ackworth North Elmsall Upton Crofton Ryhill Walton Featherstone Hemsworth South Elmsall South Kirkby Wakefield South. My brother is due to move from his property in West Yorkshire. I’m looking for a very rough estimate to clear and one-off clean his place after he’s left. His bed, a big chair and a few other items of furniture will be coming with him, but left will be all the white goods and carpets (which he’d like removed), chest of drawers, Z bed, curtains, an old side table (c.1929), TV, and other smaller items of furniture, which will need clearing. Thank you in advance. 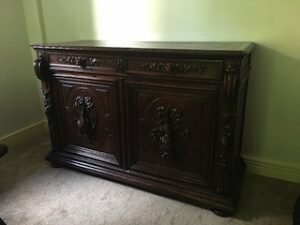 A heavily carved 19th century Victorian style mahogany sideboard, having two drawers above two cupboards. 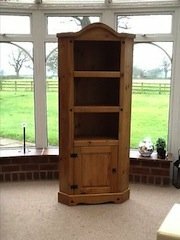 A tall standing solid wood Willis & Gambier Lille double wardrobe. 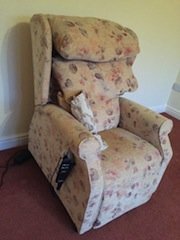 A vintage high back electric reclining armchair, upholstered in floral patterned fabric. 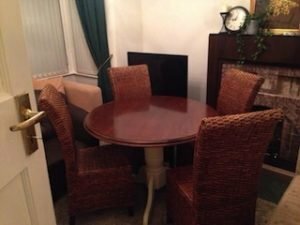 A circular mahogany dining table on three legs, together with four rattan high back dining chairs. 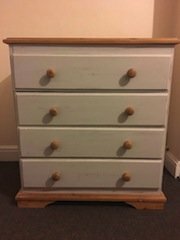 A hand painted white solid pine chest of drawers, having four drawers, each with two circular knobs. 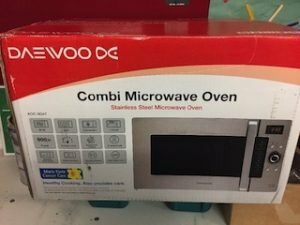 S brand new boxed silver Daewoo Combi microwave oven. 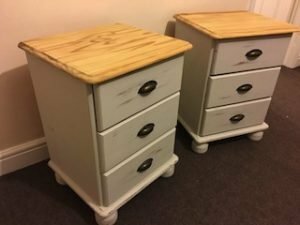 A pair of hand painted white solid pine bedside drawers on ball feet, each having three drawers. 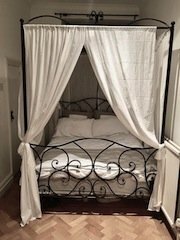 A black iron four poster double canopy bed frame, together with a cream double mattress. A tall standing Corona pine corner unit, having two shelves above a cupboard. A tall hand painted grey solid pine chest of drawers on ball feet, having six drawers, each with a crystal knobs. 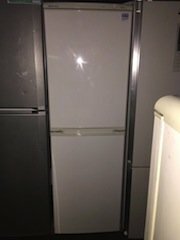 A tall standing white Beko two door fridge freezer. 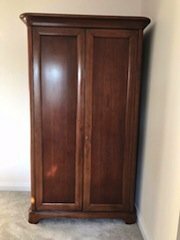 A tall standing solid pine double wardrobe, having two drawers to the base. 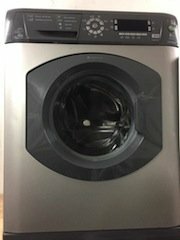 A space grey and granite Hotpoint 8kg 1400 spin washing machine. 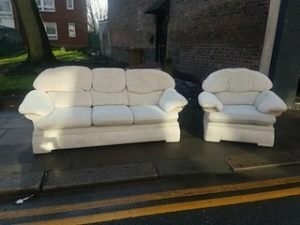 A three seater high back sofa and matching armchair, upholstered in cream fabric. 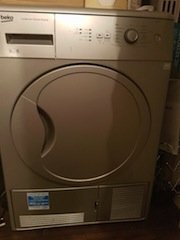 A silver Beko DCU6130S under counter condenser tumble dryer. 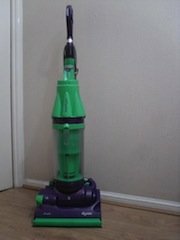 A green and purple Dyson DC50 upright vacuum cleaner.